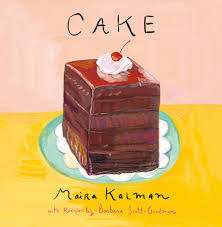 Ok, this little book, Cake, is a bit insubstantial – light and fluffy – like a cake I guess. 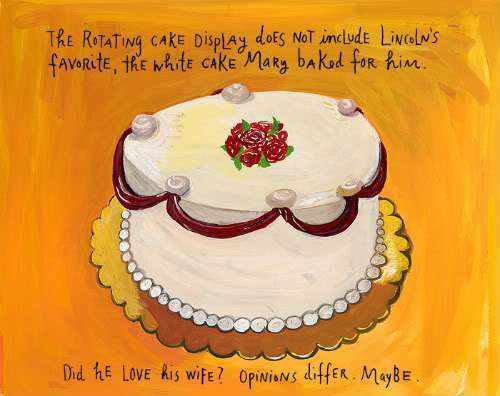 Maira Kalman is one of my favourite graphic novelists and so the book is enjoyable because of her drawings. 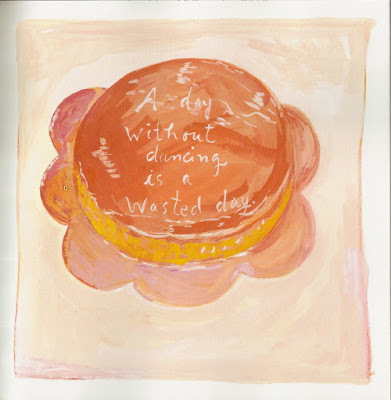 She draws about times in her life that involved cake. But it is also a book with about 18 recipes for cakes. The recipes are by Barbara Scott-Goodman. If you like Maira Kalman – I've posted about some other stuff of hers – The Principles of Uncertainty, My Favorite Things and Ah-Ha to Zig-Zag – then do get this one from the library. It won't take you long to flick through. It's not the best of the bunch but it's still good. What a cute little book! I love it. I have a small book that belonged to my grandfather that was written just a few years after the assassination by someone that knew Lincoln.